A few months ago, they mentioned that the were making their own vin d’orange, an aperitif made by infusing dry white white, to which sugar and neutral grain spirits have been added, with sour oranges and spices like vanilla and/or cinnamon. Variations of it are made throughout France and it is, to the best of my knowledge, the inspiration for Lillet. With Seville oranges in season, I figured it was time to make my move. Everything above is mixed together and stirred until the sugar is dissolved and then covered and let to stand for about 2 months. Anne de Ravel indicated she stirred everything once a day for the first month and then once a week during the second. After two months, the mixture needs to be strained, racked, filtered and bottled. If you compare recipes, you also note that I’m using much higher proof spirit than called for in the original. To be honest, that was really just a mistake on my part. I unthinkingly interpreted “clear unflavored alcohol” as Everclear, which I use for making tinctures. I imagine I can compensate for this if it proves necessary by adding some water but I’ll hold off making that call for a month. Do note however that the choice to use some overproof rum and grappa was deliberate. I thought these would add interesting complexity to the blend. Two other modifications I plan to make to the recipe are as follows. After the first month, I’ll mix in a handful of charred french oak cubes for added flavor. These were purchased from a local beer and wine making supply. I’ll leave them for no more than one month. Second, after filtering and bottling, I’m going to try infusing a couple of liters of the vin d’orange with chinchona bark ala the ever elusive Kina Lillet. NOTE: If you visit the Range cocktail site you’ll notice right away that they don’t provide measurements for any of the recipes nor how do they tell you to how to make special ingredients when these are required. The good news is that if you post a comment and ask, someone from the bar will respond. It may take a day or two so keep checking back. 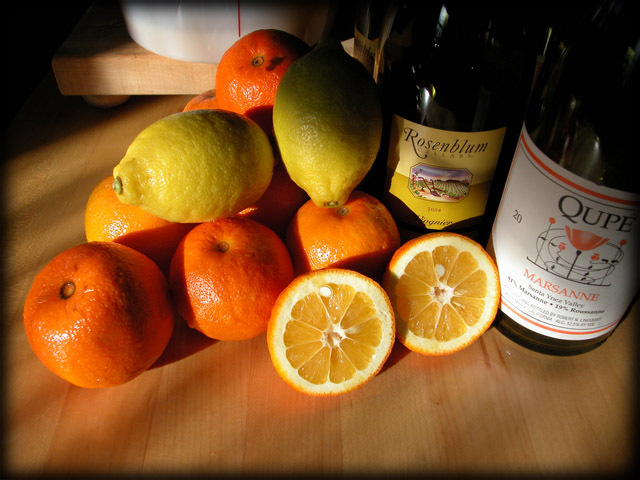 This entry was posted on December 27, 2009 at 6:43 pm and is filed under Exotic Citrus, Home Made Ingredients with tags Exotic Citrus, Home Made Ingredients. You can follow any responses to this entry through the RSS 2.0 feed. You can leave a response, or trackback from your own site. Michael, sounds delicious… can’t wait to try it. I think after my Amer Picon is finished this might be one of my next to-dos, thanks for the inspiration. Looking forward to sharing it with you and getting your feedback. It will be a great treat in March. Looks great! I think I’ll try your recipe a try when I get a hold of the Seville oranges. Thanks for stopping by! Winter is of course the prime season for all citrus. 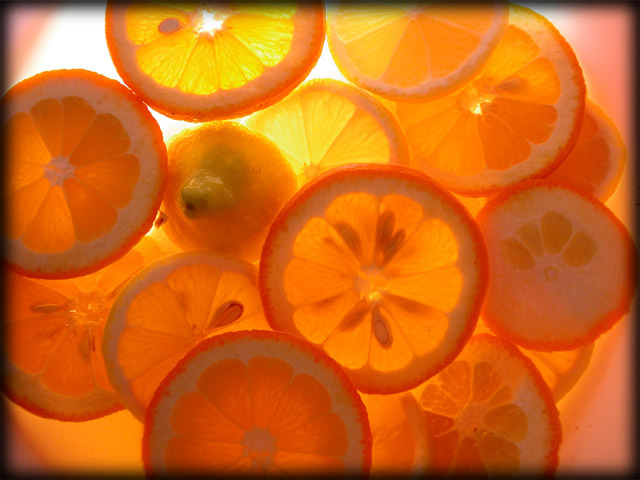 This year (2010) was a great citrus season and the Seville orange supplies held out until May. I didn’t write a follow up on this post but in the end I added some simple syrup to the vin d’ orange to balance it out. Otherwise it was just a bit too bitter for most people. I added approximately 2 ounces of simple per quart. This should be done only after the vin d’ orange has been racked and/or finely filtered a couple of times to get all (or most all) the sediment out of it.